Make this simple fried fish dinner with just a few ingredients. 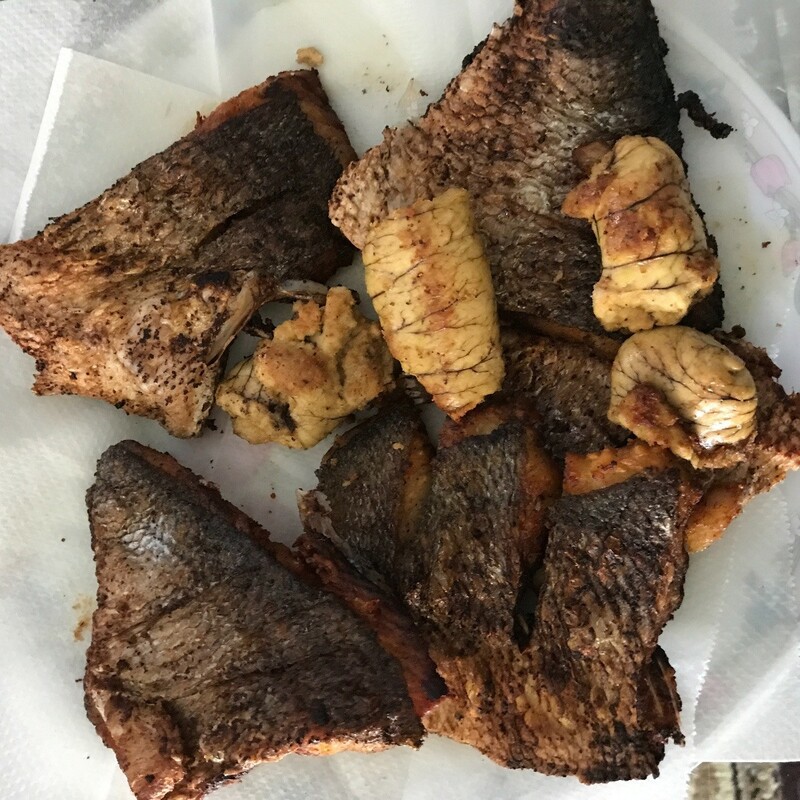 This guide contains a recipe for fried sea bass. Very tasty and crunchy fish, that pairs perfectly with rice! Some grocery stores provide complimentary fish cleaning. If your store does offer that service, I would take advantage of it! Then when I come home, I only clean with salt again quickly. 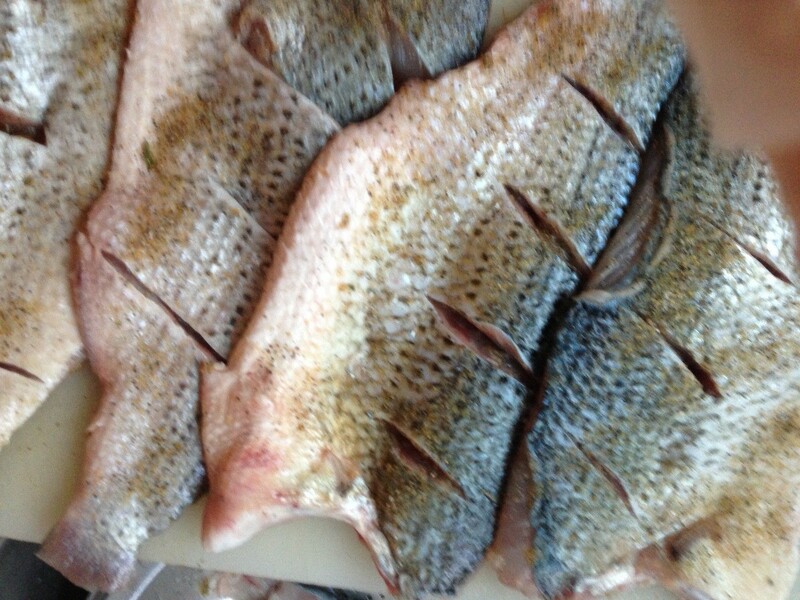 Once you wash the fillet fish clean, pat dry and score the fish (add slits at an angle). Scoring your fish will help it cook evenly. Now it is ready to marinate. 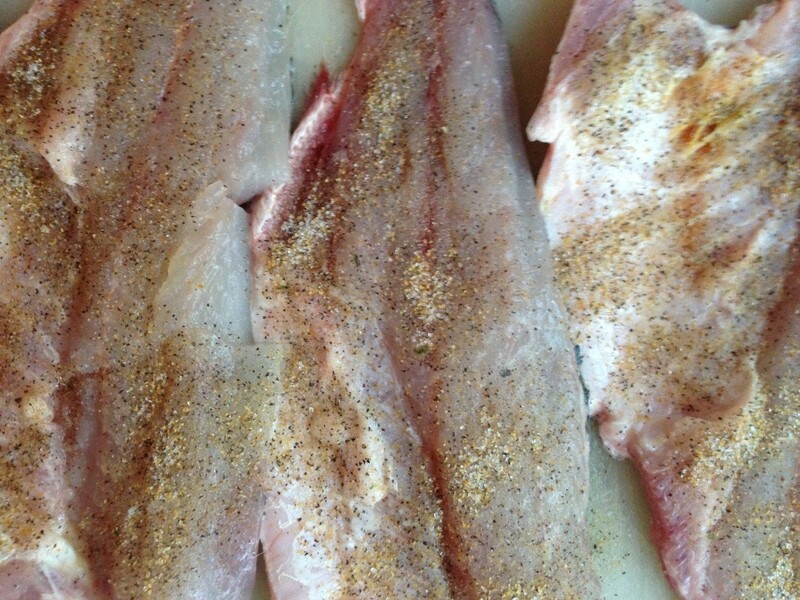 Combine salt, pepper, garlic powder and sprinkle on the fish. 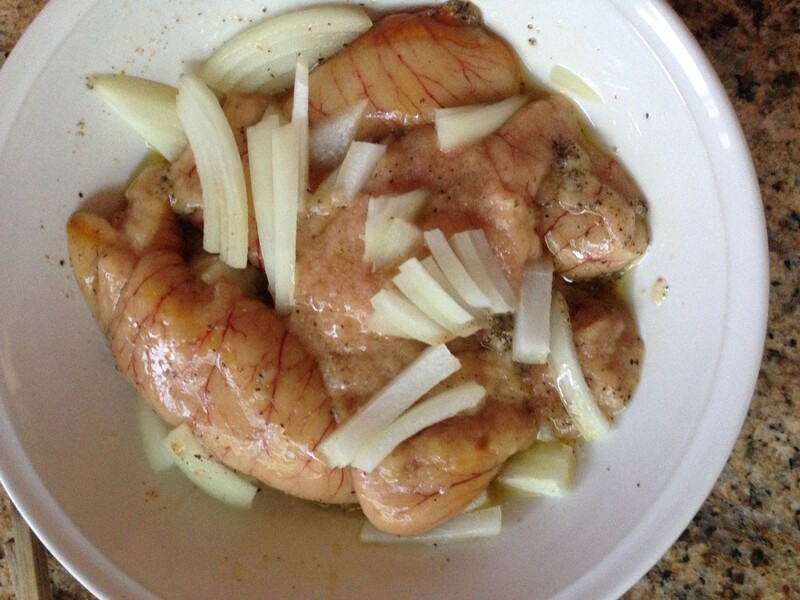 Marinate for at least 30 minutes prior to cooking. *Optional: If you like fish eggs. 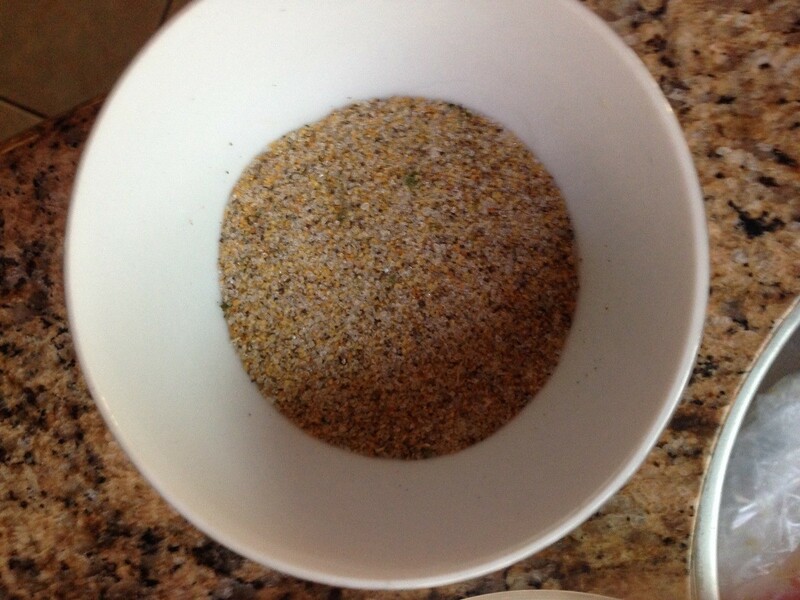 You can clean the fish eggs with a dash of salt. 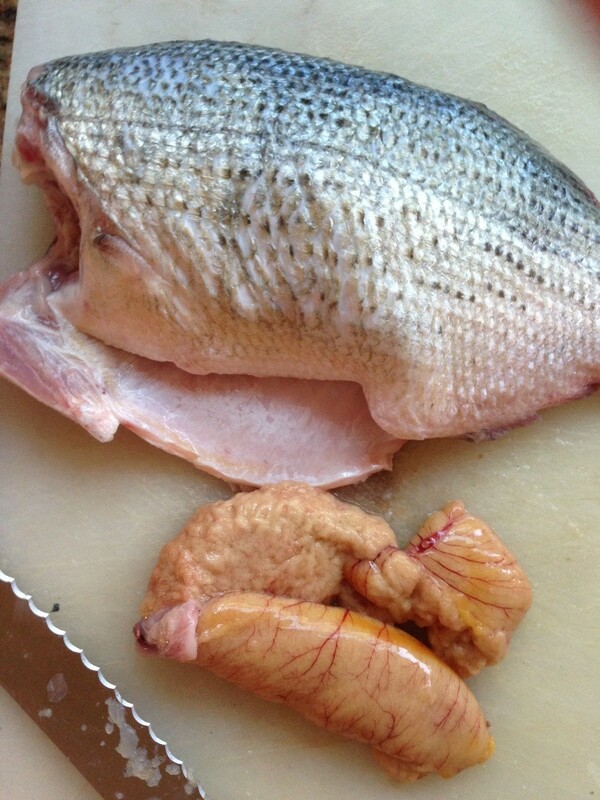 Put the fish eggs in a small bowl and marinate with dash of salt and pepper, sliced onions and dash of olive oil. In a pan add vegetable oil on high heat. 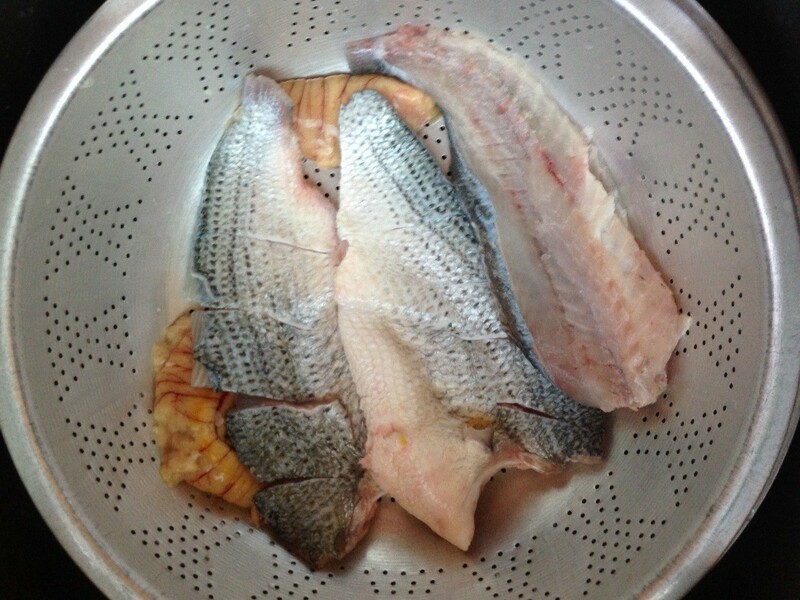 Add the garlic and fry your sea bass fillet until crispy. About 10 minutes cooking per side or until yellow and crispy. Once you finish frying your fish, get another pan. Take about 1 tablespoon of oil from the fish pan, and add some sliced onions. Fry the fish eggs. Fry each side for about 4 minutes or until crispy.